"I read Hawks on Hawks with passion. I am very happy that this book exists. "-François Truffaut Howard Hawks (1896-1977) is often credited as being the most versatile of all of the great American directors, having worked with equal ease in screwball comedies, westerns, gangster movies, musicals, and adventure films. He directed an impressive number of Hollywood's greatest stars-including Humphrey Bogart, Cary Grant, John Wayne, Lauren Bacall, Rosalind Russell, and Marilyn Monroe-and some of his most celebrated films include Scarface (1932), Bringing Up Baby (1938), The Big Sleep (1946), Red River (1948), Gentlemen Prefer Blondes (1953), and Rio Bravo (1959). Hawks on Hawks draws on interviews that author Joseph McBride conducted with the director over the course of seven years, giving rare insight into Hawks's artistic philosophy, his relationships with the stars, and his position in an industry that was rapidly changing. 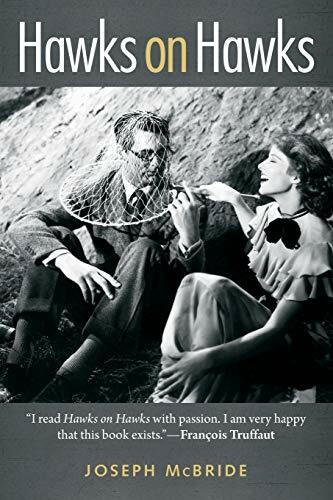 In its new edition, this classic book is both an account of the film legend's life and work and a guidebook on how to make movies.